·Fan switch with ON and AUTO functions. All products come back by a 30-day guarantee,1 Year warranty and lifetime support. Always turn off power at the main power source by removing the fuse, or switching the circuit breaker to the off position before installing, removing, cleaning, or servicing this thermostat. 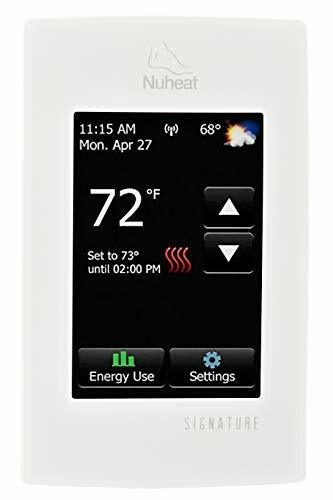 Read all of the information in this manual before installing this thermostat. 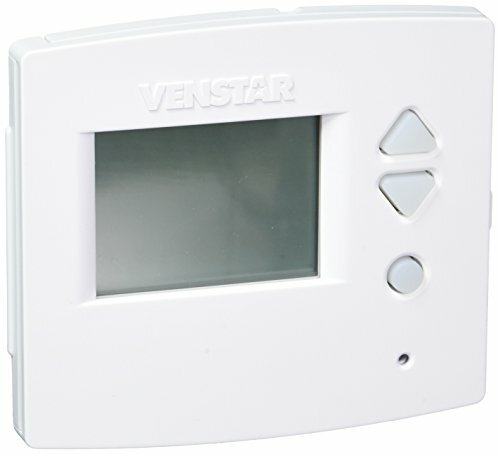 Use a professional contractor to install this thermostat. This is a 24VAC low-voltage thermostat. DO NOT INSTALL ON VOLTAGES HIGHER THAN 30 VAC. 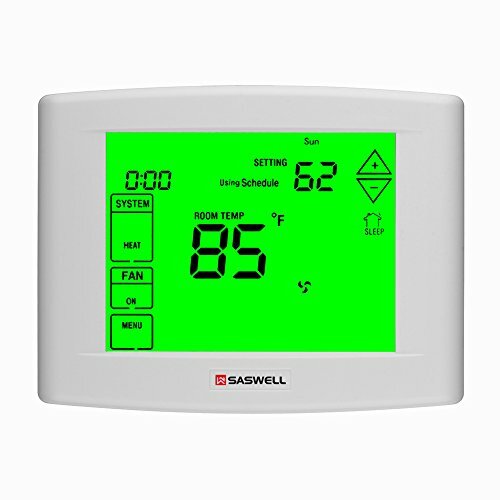 Optional 7 day programming and non-programmable, Enjoy the flexible settings via full 7-Days/4-Periods Setting on device,to reduce energy usage,savings on annual heating and cooling costs. Large LCD digital display with backlight,easy to read in various lighting conditions,Two power options: battery (2-AA batteries ), or system power (C-wire).C-wire needed for proper installation. Vacation set-point override to reduce energy use while away from home,easy programmable mode ensures the desired temperature is reached by the programmed time. 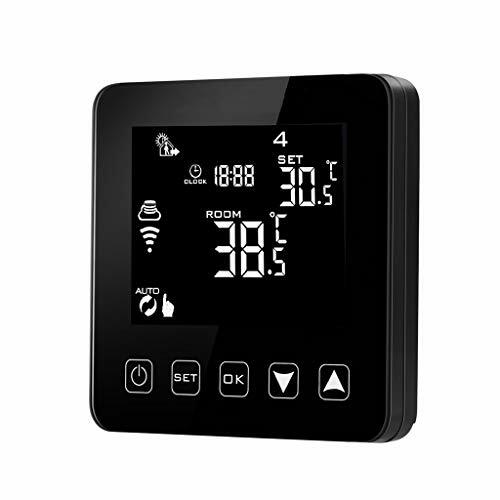 Accurate temperature control of +/-1-Degree F for consistent comfort,Air Filter change reminder and Detailed instructions for easy installation, 12 or 24 hour clock.